Sony has potentially teased a glimpse of what a future PlayStation could deliver, by demoing Gran Turismo Sport in an eye-melting 8K at a blistering 120 frames-per-second. At an event in Tokyo focusing on outrageous consumer electronics, the Japanese giant showcased its new Crystal LED Display System with footage of Polyphony Digital’s simulation racer. The television, which has a whopping 440-inches of screen estate, outputs an alarmingly crisp image – although you’d need to raid a dozen banks in order to be able to afford one. 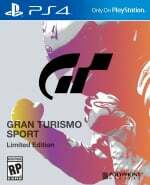 GT Planet speculates that while the footage is based on Gran Turismo Sport, it’s more likely to be some kind of target render as all of the graphical details are significantly dialled up. 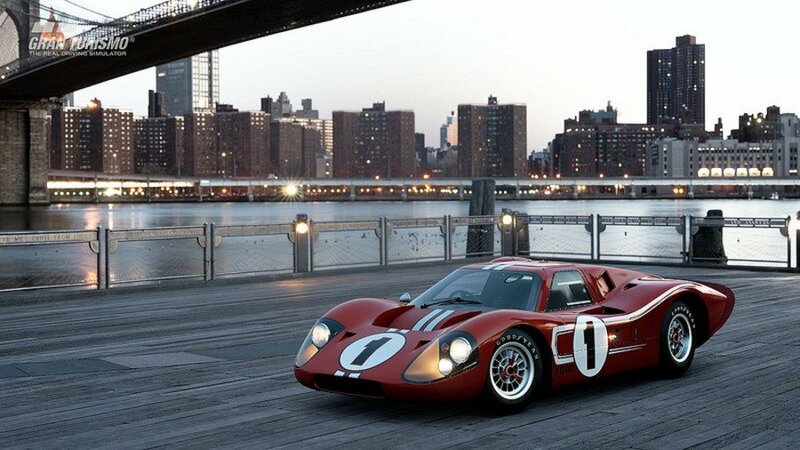 It’s a long way off, then, but this is a small glimpse of what a Gran Turismo game could look like in the future. Are you eagerly anticipating our 8K future, or are you yet to even upgrade to 4K? Count every pixel in the comments section below. Imagine the install size on that!! Only recently upgraded my tv to 4K. Technology advancing quicker that my salary! Still on HD. More than good enough. Still usually buy DVDs anyway, because they're cheaper, and work on more devices. If we assume PSVR games look like last gen, is it safe to assume that PSVR2 can current gen visuals? Racing games will look amazing on VR next gen I think. And if so, Cyberpunk 2077 VR, here I come! something that has always confused me. if 60fps is the magic number to hit for a lovely smooth experience in gaming, then why does it matter if its above this number? I’m still looking into getting a 4K TV but I honestly don’t really want any more than 40 inches. @Tha_Likely_Lad 60fps is the accepted target just now for most games but double that is a much smoother experience. Lots of pc gaming monitors on the market already at 144hz refresh rates and games with uncapped fps hitting that are a much smoother experience. Also already bought 4k tv last year, the next tv I'll buy is still 7 years away, (I usualy bought tv every 8 years, going from tube to hd to 4k). I read somewhere that analysts predict that 8K won’t be standard until at least 2032. Content is predicted to be available as early as 2025. I have 4K capabilities (PS4 Pro and Xbox One X), but still only a 1080p TV. For all I know, I may never get a 4K TV - unless my Samsung dies before 8K is around, as I have no plans to get a new TV until then. @wiiware no way that this is even possible on ps5 tech if the pricepoint will be below 1000 dollars. i heard that this is something you can only get on 5000 dollar PC's. this could be ps6 tech at the earliest. My 'rig' could easily handle that. Still on 1080p with my Pro. Bought a gaming PC capable of 4K and VR, but still only bought a 1080p monitor with it. No interest in 4K, and won't buy a 4K TV until they are 'standard' and unavoidable. @jdv95 It's nice to hope lol. But yeah, 8k 120fps with that kind of graphics maybe a little bit hard for $400-$500 console that's released on 2019-2020. Man, I just bought a 4K TV, don't start with all this 8K junk. let's get to 60fps on 4k (ps5) first before getting already yet another resolution upgrade. i hope that the ps5 and it's pro version will focus on better framerates on 4k resolution and better AI instead of just making it a better resolution machine. Meanwhile I'm still deciding whether or not to buy a 4K HDTV lol...don't see myself upgrading again for like 5-10 years. @KidBoruto i don't think you will need to anyway. 8k is just to far away from us yet. all the tv's that do have it now,are just made to 1up eachothers rivals. content wise 8k will be a few years away atleast before anything worthwhile may show up in the gaming department for consoles under 1000 dollars. Even the beast that is XB1X can output [email protected] in only a few select games. It is a tasking thing to do. This is obviously just for show - where no resources are spared. If I remember correctly, even during the PS3 era Sony had amazing Gran Turismo on four screens (achieving 4K across all four) @ 60fps. Well, yeah, they had four or more PS3 consoles and at least 4 rendering their portion for their screen. Wow, that's insane. Where can I pre-order? Oh leave it will you! There is zero need for that level of clarity for all but the biggest screens or the most picky of users. It's hard enough to tell the difference between native and non-native 4k solutions. I properly feel like an old man now, because my immediate reaction to this story is simply "Why? Why would you need that?" @Tha_Likely_Lad It can look pretty neat. I run Witcher 3 at 1080p, 120+ fps, high/ultra settings. The game and combat looks so smooth that capping the frame rate to 60 fps makes it look blurry lol. All this fuss about resolution. I noticed a huge difference going from a 32" CRT in SD to 32" 1080p LCD as it's easily perceptible with those screen sizes. Though I can see a difference jumping from 1080p to 4K, unless it's a much bigger screen it's nowhere near as noticeable. The next time I upgrade my main TV I expect it'll be 8K with a 50" or so screen, more because they'll be cheaper and readily available, like the way most new TVs now are 4K because you may as well have it than not. I have yet to upgrade to 4K. For the longest time, relatively high prices and insecurity concerning technical standards have put me off. I think I'll upgrade to 4K together with my new PS5 when it launches. That way, it'll make the new system seem even more amazing, when, together with the improved graphics, I'll get to experience HDR and the increased resolution for the first time! Plus, by then a good 65" 4K with proper HDR and VRR should be absolutely affordable. @Octane I’m hoping I’ll be able to plug my original PSVR headset into the PlayStation five and play the next wave of VR games. @jdv95 Yeah, I honestly can't see the difference between 1080p and 4k on my ps4 pro & 55inch 4k tv. In rise of the tomb raider I'm looking really close to tv and set the game to 4k and 1080p alternately but I still can't see the difference. But I can see the difference between 900p and 1080p on nier automata using ps4 and ps4 pro. I do hope for next gen devs will focus more on ai and framerate rather than really good texture but standard ai and 30 fps. @Neolit So for ps5 we can stack four ps5 to play gts at 8k & 120 fps? But seriously though, this gen console cpu is not that good even when they launch on 2013 so for next gen there's hope we can get more balanced (between cpu and gpu) console that can play good looking games at great framerate. It will be cool if ps5 have some sort of "checkerboard" technique but for framerate. @RainbowGazelle Oh yeah? I still watch black and white silent films on my reel projector! I have an actual orchestra doing the music too! And here’s me getting excited over hooking up my SNES to a 14” CRT. It looked mint. I had only bought a 3D 50" Sony android tv in 2015. It's only 1080p but I'm more than happy with it. Cost €900 so I won't be upgrading any time soon. Maybe 8k will be the norm when I get round to it. @Octane CDPR already confirmed that Cyberpunk 2077 won't be VR and they have no plans for it to be VR either, also Cyberpunk 2077 is going to be allot better on PC, don't expect it to be even Native 4K on PS5, and if it is it will just be 4K 30 FPS, not 60. @DEFECTX9 It would not be too much of a stretch to believe a PS5 could do native 4K on that considering how close the One X can get with some current games. But, no way I see it doing it at 60 fps. @Alfieburns Same here. Just bought my first 4K HDR TV last month. Pls no 8k yet. Am not ready!. @DEFECTX9 Plans can change. Their current plan is also to release it on PS4, Xbox One and PC, but I wouldn't be surprised if it got a PS5/Xbox 2 release at some point. I really hope 4k sticks around for a while rather than trying to push this silly '8k' idea. Some people already can't see the benefits of 1080 to 4k. Even fewer will see the difference between 4k and 8k. I'm worried it's 'buzzwordy' nature will make that the target on new displays rather than focusing on improving current technologies like HDR improvements and higher refresh rates with freesync. I just bought a 4K HDR LG tv on Black Friday and I honestly can't go back to full-HD. Once you play Horizon or Uncharted 4 on a 65 inch 4K HDR you will definitely understand that there is no going back, only forward. Plus I think 4K TVs are becoming the norm now. Plenty of deals around and you get a good one for $500-$700. I'm still blown away if a game can do solid 60 on 1080 so this seems pretty far away. I personally prefer great art direction and effects over resolution. Also textures are sometimes forcefully degraded when they pursue better fps. I think it's almost stupid to raise the resolution at this point when there's still so much to work on other departments. And I just upgraded to a 4K TV last month.